Otezla® (apremilast) is approved for the treatment of patients with moderate to severe plaque psoriasis who are candidates for phototherapy or systemic therapy. Please click here for more information. 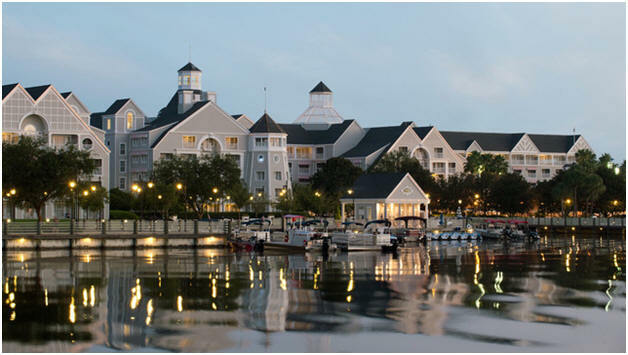 Register today for the 2015 Spring Forum being held April 23-24, 2015 at Disney's Yacht & Beach Club. Click here to visit the conference website. Global consumer collaboration consultancy Communispace recently released a report called, "Healthcare without Borders: How Millennials are Reshaping Health and Wellness," which examines millennial healthcare values and how they will impact businesses across the industry. The report focuses on several areas of millennials' lives, including technology. Millennials are far more likely than other generations to rely on mobile and online tools to monitor and maintain their health, the report states. Is Obamacare about controlling our lives? Journalist Steven Brill has written a new book about our dysfunctional system of healthcare and it's getting a lot of attention. In "America's Bitter Pill: Money, Politics, Backroom Deals, and the Fight to Fix Our Broken Healthcare System," he describes the various struggles to implement the Affordable Care Act and dissects the ongoing opposition to the bill. The medical world is changing — How can we keep up? Healthcare is a dynamic industry. It is constantly changing as new modalities, treatments and technologies are discovered or even rebutted. Even with the changes in technology, diagnostics and treatments, the healthcare environment has stayed relatively static. The patient seeks treatment, and the healthcare provider treats based on the needs of the patient. The provider of care bills for services and is paid. For the most part, the healthcare providers have wielded most of the control with little resistance. However, this is changing, and the power has shifted. Can life sciences companies evolve to accountable care? Healthcare providers continue to assume increasing amounts of risk in care delivery. This has major implications, not just for providers and patients, but also vendors in IT, diagnostics, therapeutics and devices. If providers assume risk, why shouldn’t their vendors? In today’s challenging and rapidly evolving healthcare landscape, measurement is more important than ever. When it comes to revenue cycle management all of the activities that happen before, during and after a patient’s visit that affect a practice’s ability to get paid—it’s essential for practices to focus on a small set of meaningful metrics. Learn more. In pursuit of greater efficiency in the United States health system, public programs and private insurers have begun to pay some hospitals and physicians differently. These new payment models take many forms, but they all impose greater responsibility for cost control and quality improvement on providers and bear some resemblance to failed healthcare financing arrangements from the 1990s. The FDA has approved NPS Pharmceuticals’ parathyroid hormone, a once-daily hormonal injection to control low blood calcium levels in patients with hypoparathyroidism. Hypoparathyroidism is a disease in which the parathyroid glands produce an insufficient amount of parathyroid hormone, which helps to regulate calcium and phosphorus levels in the body. What does a good day mean for your patients? Symplmed Pharmaceuticals announced that the FDA has approved the fixed-dose combination of perindopril arginine and amlodipine for the treatment of hypertension in patients whose BP is not adequately controlled on monotherapy. An international team of over 300 scientists are taking on an ambitious project to identify eight common genetic mutations that appear to age the brain by three years on average. The team, known as Enhancing Neuro Imaging Genetics through Meta Analysis Network, hopes to pave the way for new treatments for Alzheimer's, autism and other neurological disorders. Myriad myRisk™ Hereditary Cancer utilizes both genetic test status AND personal cancer family history to identify elevated risk for 8 important cancers by analyzing multiple, clinically significant genes. Myriad myRisk improves clinical sensitivity by 40-50% compared to current testing paradigms in a cost-effective manner, providing more value to your members. Diabetes appears to be a disease written deeply in human genes, a feature millions of years old, which can emerge yet also retreat through the influence of environmental forces such as diet, a new study suggests. Researchers looked at how obesity, in particular, can trigger the onset of Type 2 diabetes in both mice and humans by manipulating how genes are expressed. Less than a third of siblings with autism shared the same DNA mutations in genes associated with the disorder, according to a new study that is the largest whole-genome sequencing for autism to date. Canadian researchers sequenced whole genomes from 170 siblings with autism spectrum disorder and both their parents. Fish are one of the highest items on the list of foodstuffs to avoid if you are pregnant, due to the developmental problems thought to be associated with mercury exposure. However, a new study — published in the American Journal of Clinical Nutrition — suggests that the developmental benefits conferred by the mother consuming fish while pregnant may offset the mercury-related risks. Measles could once again become native in the U.S., disease experts worry, as an outbreak in California linked to Disneyland has put a spotlight on a growing failure to vaccinate that's helping the disease to spread. While 94 percent of California kindergarteners were fully inoculated against the virus last school year, according to the U.S. Centers for Disease Control and Prevention, there are clusters where vaccination is much lower. Women with breast cancer often don't know what kind of tumors they have, a new study found. Not knowing one's tumor features isn't necessarily tied to worse outcomes, but better knowledge might help women understand treatment decisions and take medications as directed, said Dr. Rachel Freedman, the study's lead author from the Dana-Farber Cancer Institute in Boston. A health campaign is urging people not to ignore heartburn, because it could be a sign of stomach or oesophageal cancer. According to Public Health England, people should go to their doctor if they have persistent heartburn or difficulty swallowing food for three weeks or more. If you are one of the millions of Americans who have been trained in first aid, you know what to do if you are walking down the street and see a stranger suddenly clutch his chest and collapse. But if that same man instead is shouting to himself, or having a panic attack, it’s much less clear what a compassionate stranger can do to help. Often, the default response is simply to cross the street. Traumatic brain injury is a serious public health problem in the United States. Each year, an estimated 1.7 million people sustain a TBI, and of these, 275,000 are hospitalized. Anxiety disorders (such as depression) rank right up there with health problems to be reckoned with and are the most common mental illness in the U.S. Interestingly, white-matter brain abnormalities in some patients closely resemble abnormalities found in patients who have experienced a mild TBI, according to new research. "In the United States, the most common type of heart disease is coronary artery disease, which can lead to heart attack. You can greatly reduce your risk for CAD through lifestyle changes and, in some cases, medication."